Walking to and fro old Vigan houses will have you exhausted so take a little break and sip hot or cold coffee. 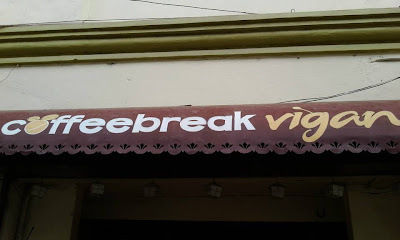 There are several coffee houses in the old calles of Vigan and one of them is named after the historic town turned city – Coffee Break Vigan. The coffee shop’s minimalist location contrasts what it can serve in terms of coffee and dishes. Along with your favorite hot or cold coffee, shakes, and tea come frozen blends, something I haven’t seen in other coffee shops I’ve been to. 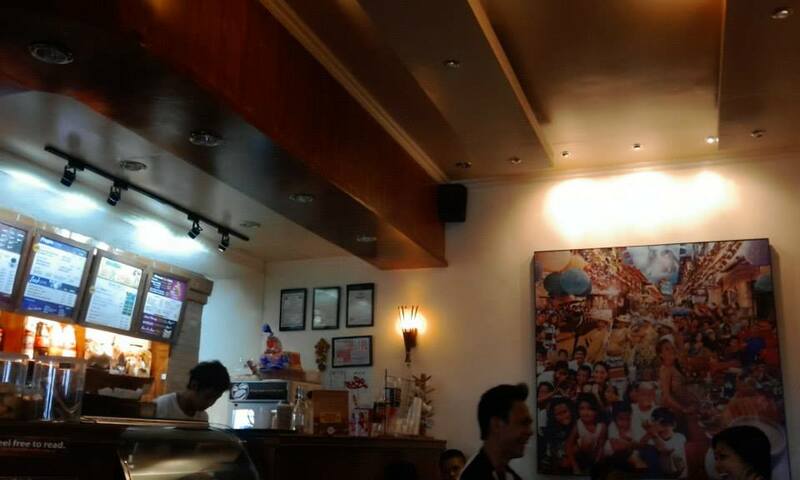 Apart from the drinks, you can also order burgers, pasta, pastries, frappes, breads, and more. 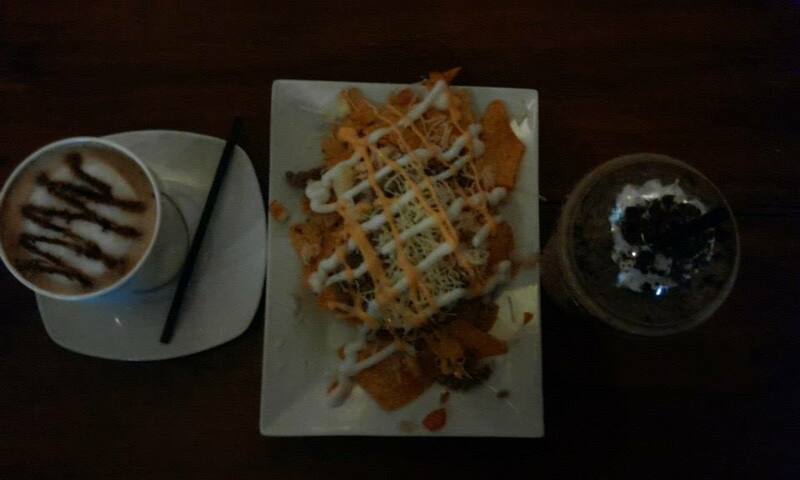 Outside offers an open section which lets you breathe in the breezy Vigan wind. Inside greets you with an aesthetically pleasing interior including an extension with a few seats upstairs. Service is great and you will be attended to immediately. However, the comfort room is currently non-functional so I hope they would take note of that. All in all though, this place is a must stop when your roaming around old houses throughout Vigan. 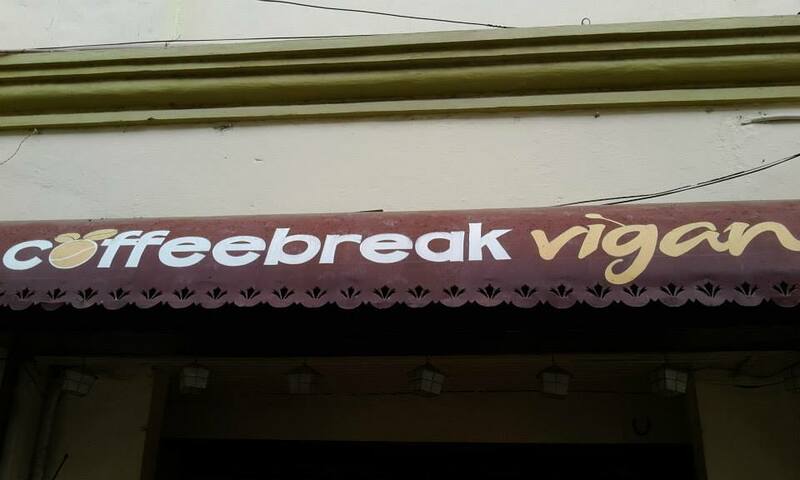 Coffee Break Vigan is located at 3 Salcedo St. (Calle Salcedo) with phone number (077) 674 8998. Like their official Facebook page or check in on Foursquare. More coffee related posts here!